Did you know that that skin discolorations are one of the leading indicators of our age to others around us? In fact, skin discolorations can add as much as 10 - 12 years to our percieved age. Sun damage and hormonal changes can cause blotchiness and uneven skin color like melasma and age spots over time. Even at younger ages, visible blood vessels, previous acne, chicken pox, and scars can leave unattractive blemishes on the skin. Laser skin resurfacing can rejuvenate your skin and improve the texture, clarity and overall appearance of your complexion with results that are quite impressive to say the least. We are proud to offer the most state of the art technology available anywhere for skin resurfacing via multiple laser device platforms. 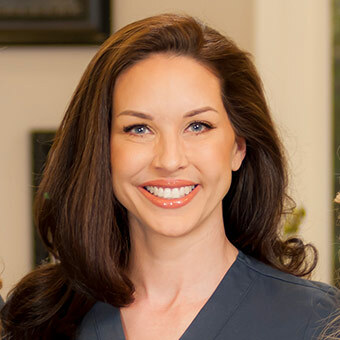 As a result, we are confident that we can treat a wide variety of conditions with the right balance of downtime and results for your lifestyle. Limelight IPL: Addresses uneven pigmentation, redness, sun damage, and surface imperfections on the face and upper body, including the neck, chest, arms, and hands. Genesis: Targets excess redness, large pores, uneven skin texture, and fine lines and wrinkles. Pearl: Treats sun damage, uneven skin texture, brown spots or wrinkles. Titan: Lifts and tightens sagging skin around jowls, elbows, knees, under the neck, and chest. AcuPulse: Treats sun damage, uneven skin texture, brown spots or wrinkles. During your skin resurfacing procedure, laser energy is used to remove layers of damaged skin to leave the treated area smoother. This procedure is performed on an outpatient basis and uses local anesthesia to help minimize discomfort if needed. The entire procedure can take anywhere from 30 minute to two hours depending on the size and condition of the treated area. Sometimes more than one session is required to achieve the desired result based upon the strength of the laser used. Non-abblative lasers offer fantastic results over time with little to no recovery time. While stronger lasers penetrate deeper in the skin in order to remove the top layer of skin so that when it heals, it is refreshed and rejuvenated. These procedures are more invasive and require local anesthetic and sometimes sedation, but usually require only one session.